It’s been nearly a decade since the world was treated to new official music from rapper Method Man. 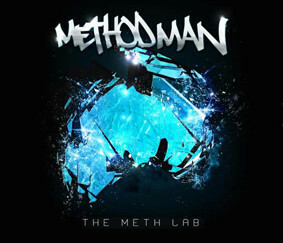 The Wu-Tang Clans most successful member is getting back to music with his new solo album ‘The Meth Lab’. Recorded in Staten Island, the album features lifelong cohorts Redman, Raekwon, Hanz On, Streetlife, Inspectah Deck and more. Method Man will be releasing the project 21 August via Hanz On Music/Tommy Boy (Ghostface Killah, Sheek Louch). ‘The Meth Lab’ is exactly what his fans have been waiting for, 17 tracks dripping with Mef’s imaginative, deliberate and laid-back style. The album features producers including Ron Browz, Allah Mathematics, J57, and 4th Disciple. Recently, Method Man pumped up fans for the project by releasing the official deluxe album track listing and lyric video title track, “The Meth Lab”, exclusively with A.V. Club! ‘The Meth Lab’ album will be available in multiple formats including Deluxe Digipak, Standard Jewel Case, and will include a Limited Collectable 2xLP, Gatefold Packaging with Crystal Blue Virgin Vinyl. Limited Direct to Fan Bundles will be available exclusively available via Bandcamp.